Most weeks I wish for Fridays to have a day of peace and rest, this Friday is no different except I'm in Madrid. Yes I finally made it after a faux paux or few along the way. It wouldn't be like "me" to not have a hiccup or 10 to complete simple tasks. Once I arrived into the city, it seemed as the magical stress fairy waved her wand and the stresses disappeared, NOT so much. Apparently, my rescheduled doctor's appointment was not put into the system; so much to their surprise and mine, my voyage to see the doctor was in vain. Whew, yes excited I was. I couldn't wait to get to the hotel to sleep in their extra firm bed. I love the way the stone mattress melts my sorrows away. Yes just love it. The hotel is on the main drag to the airport, so instead of frustrating myself and the taxi drivers with my profound sense of direction in Abu Dhabi, I stay at this place because it's a one road deal to the airport. Air France and Etihad are air buddies. Typically Etihad have things in order but with the middle man of Expedia plus Air France, things went a bit south and quickly. First, I couldn't check in online which shot my nerves because I missed a flight before because of an online check in mix up. On top of the online check in screwy, Expedia listed the departing Terminal as 2, um no way Expedia Terminal 2 is for private jets and cargo, I was not apart of either this go a-around OK. So, I had the taxi drop me off at Terminal 1, then trecked over to Terminal 3 then heard, "there's a problem with your ticket". WTH. No it's not. The kind Etihad gentleman called a few people, typed a few letters, then sent me off to the long line of would-be travelers. In short, I made the flight, but had to check my carry on bag which was later left for dead in Paris. GRRR Thanks Air France. I arrived to Madrid, no bag and the delivery service closed for the day. (insert yall better fix it fast face here) I decided to wait the 2 + hours for the next flight that my bag was on. I missed most of my evening in Madrid due to Air France. NOT A HAPPY GIRL... however, my namesake hotel is amazing and in the midst of the action. The room is smaller than ant spit but all is well. 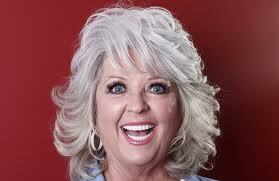 In other news, Paula Dean seems to be the biggest loser of the week. She claims that everyone uses the "N-word" and exerts that it's OK to do so. Dear Butter Queen, it is not OK to use the "N-word" and using such reference in the presence of any living being is unacceptable. You are a tack head for doing so and I hope you twerk your way down butter lane out of existence. Food Network due your rightful duty to cancel the Butter Broad, we don't need her. See you guys soon and always check in with me on Instagram for up to date pics from Madrid. Tags: "trot" "travel" "Air France" "Etihad" "Paula Dean uses the N-Word" "Delma Island" "teacher in "Abu Dhabi" "travel to Madrid" "Madrid, Spain" "Hotel Regina"
Have an awesome time in Madrid!! Madrid was fantastic. I will return in a few years.